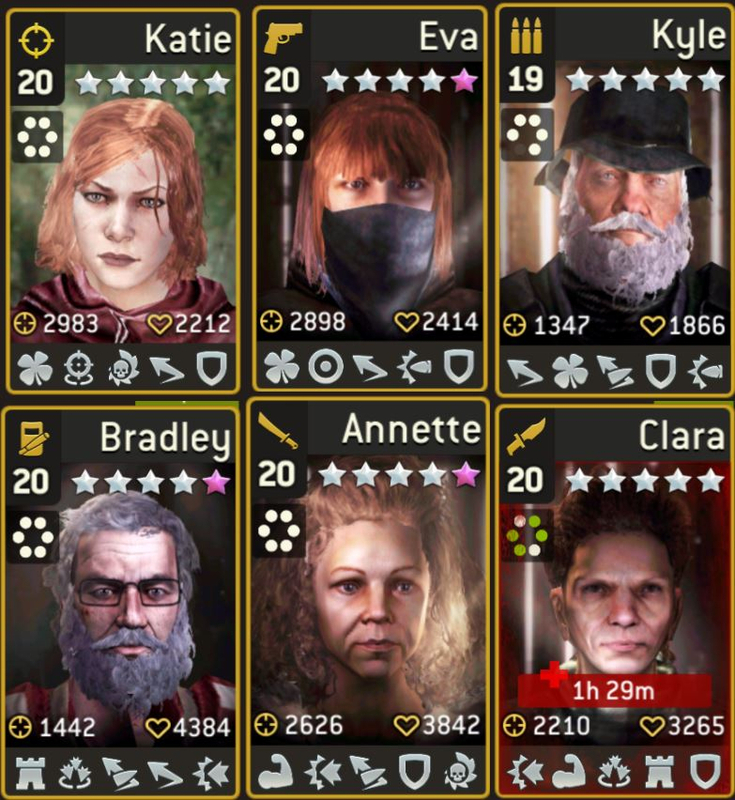 Are these survivors worth upgrading? So up until recently, I wouldn't have called myself a very strategic player, I've just used brute force without paying too much attention to survivor traits. And as a result of extremely poor luck in radio calls (just now, 4 hero fest calls and best was 1 epic... lame!) I've had one main survivor per class. But now that I'm trying to get further in the distance (and failing at) I'm wondering if I need different ones. I don't think they're bad, but I've been hording class tokens for a bit now instead of auto-upgrading and was just curious is people thought these were worthy of further investment or I should hold out hope for something better. Thanks! Really? not a huge fan of retaliate, especially when it apparently considers free man allies. She has the perfect traits!!!!!! Do not worry about that. You can add her damage with badges. Eva is fine but would have been better with Ruthless in place of Revenge if she's your top shooter. Even so her traits are pretty solid. Let me know when and where I need to be to pick up Katie. I'll bring unmarked bills. I won't pay money for Eva since she is really just Katie with a bandanna on (you can't fool me that easily). Just bring the bandanna and I'll pay you the $2.50 it cost you. LOL, wouldn't it be nice if we could trade/sell survivors/equipment between players? But still, no one gets Katie, she's all mine! Katie is amazing, missing marksman though. Yeah Katie is close to perfect IMO. Marksman is a little overrated since it only adds to base damage and doesn't quite give the 15% boost it says, more like 6%. Eva is very nice but as mentioned above is missing ruthless or sure shot even but should still make a very nice shooter. Clara is quite a nice interrupting/defensive scout - iron skin, defensive stance and power strike combined with a weapon with interrupt should serve you well. The rest I would save for now until something better comes along. Clara is quite a nice interrupting/defensive scout - iron skin, defensive stance and power strike combined with a weapon with interrupt should serve you well..
How do you use a scout in a interrupting/defensive way? Or in what situation would that be useful?